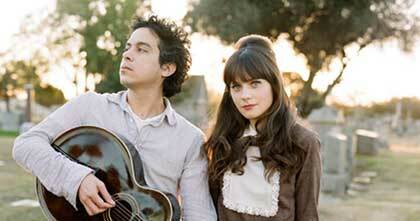 M.Ward has announced a February 17 release date for his upcoming album Hold Time. The much anticipated follow-up to the 2007 release, Post War, will feature a star-studded lineup featuring guest performances by Jason Lytle, Lucinda Williams, Tom Hagerman and of course the lovely Zoey Deschanel. Deschanel can also be found collaborating with Ward on the their latest debut, She & Him Volume 1. Speaking of collaborations, the film The Go-Getter starring Deschanel, has a quite excellent soundtrack, with appearances by M.Ward, The Black Keys, Eliot Smith, & The Replacements.